Recent data from West highlights what patients—especially those with chronic conditions—expect from their providers. Not surprisingly, they cite prescription support and associated check-in surveys as some of the key areas of support they need. More than a simple reminder, these personalized messages (which can be initiated by a patient’s physician) can also provide guidance and support, such as proactive reversal messages and multimedia usage tips that make it easier to stay on a branded therapy. 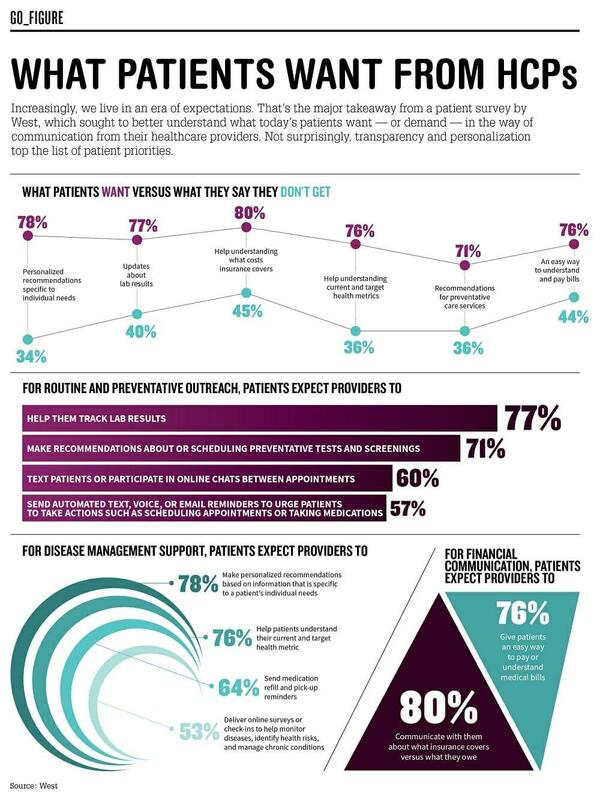 In fact, patients enrolled in EngagedPatient programs on average refill their prescriptions at a rate 35% higher and 74% faster, and stay on their branded therapy 27% longer compared to unenrolled patients.